KHN Alumni (2018) Jean Fineberg's all-original 8-piece 'Groove Beat' ensemble, JAZZphoria, will premiere three new compositions written by Jean while in residence at KHN. The pieces "Synesthesia," "Sheridan Square," and "Live at the Buck Snort" will debut in Rendon Hall at the California Jazz Conservatory in Berkeley, CA. Jean Fineberg is a saxophonist, flutist, drummer and composer who also teaches at the California Jazz Conservatory. Regarding JAZZphoria (from Jean's website),"we bill ourselves as 'Groove Beat' because all our material is contemporary and rhythm based and our performances are exciting and inspiring. Our infectious grooves include everything from R&B, Blues, Funk and Salsa to Reggae, Bossa Nova, Rumba and the kitchen sink!" The concert is set for March 8, 2019 at 8:00 pm. 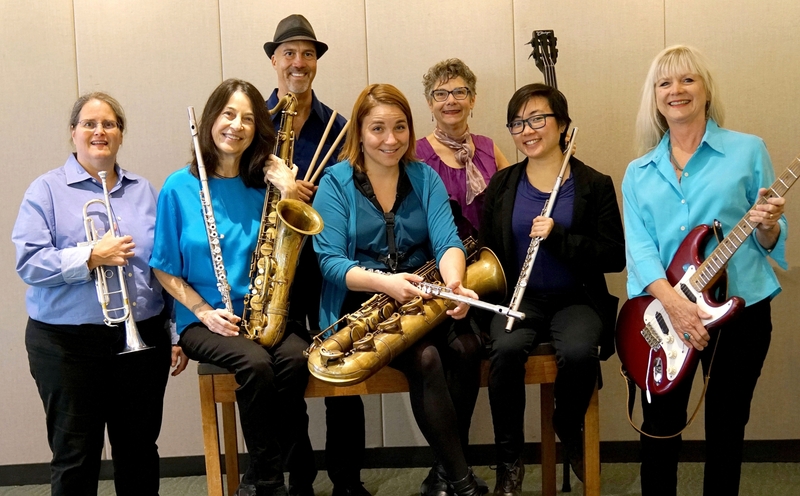 For details, see the Concert page of CJC's website, and be sure to check out the article about Women's History Month highlighting JAZZphoria. 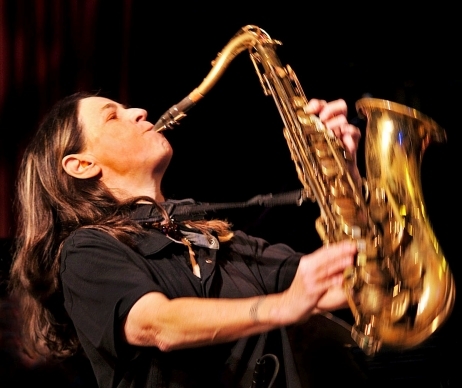 "Women's History Month Brings a Wealth of Great Concerts to SF Bay Area"